Katie Pothier joined WTK in November 2010 after finishing her eighth season as executive vice president and general counsel for the San Diego Padres, where she advised the club on all disciplines of the business, supervising outside counsel, enforcing intellectual property rights, providing risk management advice and establishing and implementing best practices for daily operations and long-term planning. In addition to overseeing the Padres day-to-day legal affairs, Pothier supervised the human resources functions of the club to ensure legal compliance and achieve best practices in all areas of employee relations. Pothier also managed the club’s relationship with its union work force and had the unique opportunity to represent the club during baseball salary arbitrations. 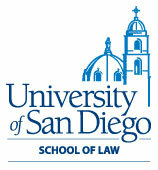 Prior to joining the Padres, Pothier worked as a litigator at the law firm of Coughlan, Semmer and Lipman for seven years where her practice included litigating complex business and white-collar criminal matters including actions involving legal malpractice, health care billing fraud, criminal tax matters, political corruption, financial institution fraud and securities fraud. At WTK, Pothier draws on her litigation experience and in-house experience to counsel and defend clients in a variety of business and employment matters including: union negotiations and grievances; effective performance management; wage and hour issues; general business disputes; and complex business litigation. Pothier was honored to be designated as one of San Diego’s Top Corporate Counsel by The Daily Transcript in 2008 and 2010 and named by SD Metro as one of SD Metro’s Movers to Watch for 2011. Pothier has a keen interest in sports and the business of sports and has played an integral part in establishing the Padres unique partnership with San Diego State University and its Sports Management MBA Program. In addition, she is a strong supporter of community efforts and is in her sixth year as a board member for the Make-A-Wish Foundation, San Diego Chapter, having served as a chair of that board for two years. 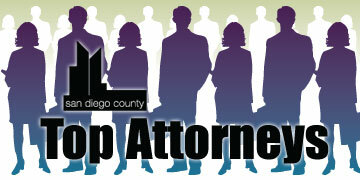 Pothier is also active with San Diego Volunteer Lawyers Program where she serves as a board member. A native of New Jersey, Pothier currently resides with her husband and two children in Point Loma.